Product prices and availability are accurate as of 2019-04-20 04:04:11 BST and are subject to change. Any price and availability information displayed on http://www.amazon.co.uk/ at the time of purchase will apply to the purchase of this product. Double cask matured 12 Year Old. This Twelve Year Old Aberlour has been matured in two cask types. Traditional oak and Sherry oak casks. Especially selected every year, they are filled with whisky and quietly aged for a minimum of twelve years; then the casks are married together. 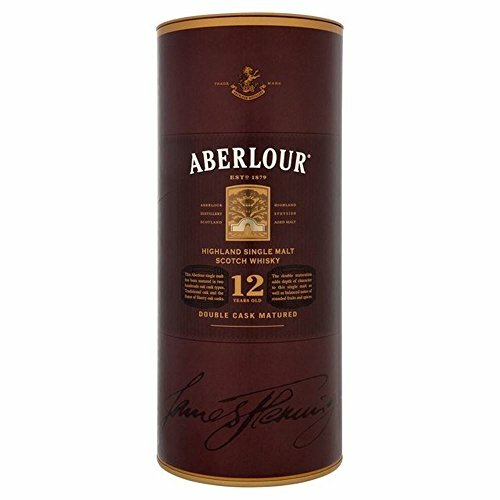 Traditional oak casks encourage the subtle character of Aberlour to develop, whilst Sherry oak casks and hints of ruby gold colour and a deep and rich flavour to the whisky. Nestling in the heart of Speyside is the village of Aberlour where a source of exceptionally pure spring water known as St. Drostan's Well inspired James Fleming to build his distillery in 1879. 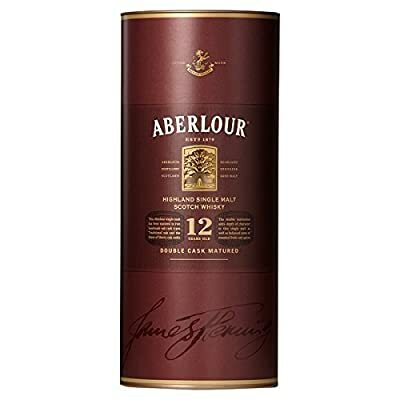 The richness of the natural environment combined with the soft and pure water creates Aberlour single malt, a distinctive whisky of generous character. A perfectly balanced single malt with notes of fruits and spices. 70cl Glass Bottle ABV: 40% Scotch Malt Whisky from the Speyside Region of Scotland Savour it neat, on ice, with a mixer or in a cocktail. A perfectly balanced single malt with notes of fruits and spices.